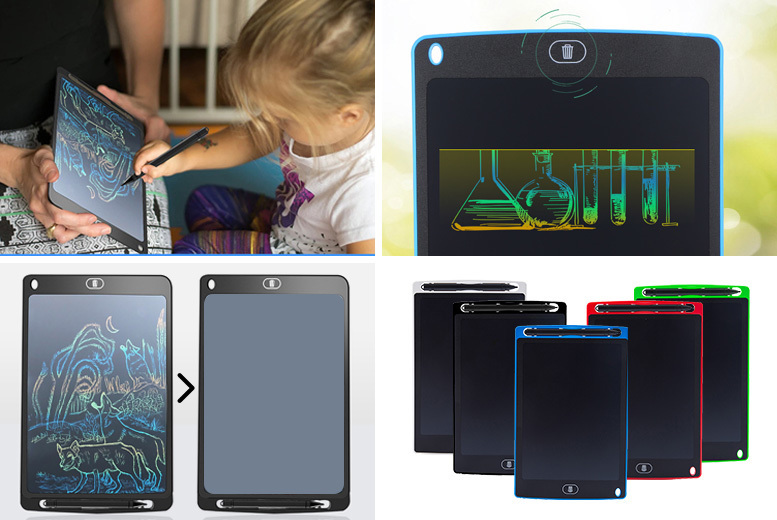 Get a colourful LCD drawing tablet. Draw, sketch and take notes without wasting paper- perfect for school or the office. Erase at the touch of a button. Screen size: 17.6 cm x 12.6 cm.